Displaying 1–10 of 42 accessions matching search criteria: Latitude is between -23.437306° and 23.437306°. You have not specified a reference location. Produces blond seed used for a traditional central Mexican confection, alegria, made with popped seed and honey. Occasional black seeds. 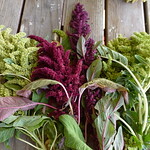 Greens edible, best before flowering. 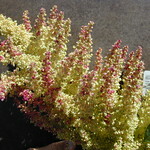 Grows to 9 ft. with multiple flower heads. Collected in Morelos, Mexico. A variable variety with some red, some green, and some marbled inflorescences. The green leaves have light red or white venation. Black and white seeds. Collected in San Martin Jilotepeque, Guatemala. 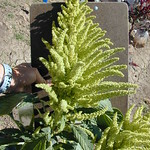 The leaves and “flowers” are green, with occasional red inflorescences. 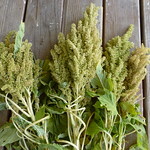 Seeds are blond. Collected by NS/S Cofounder Gary Nabhan near the Rio Purificacion in Jalisco, Mexico. Hails from Hidalgo in east-central Mexico. Grows as a perennial shrub (up to 9' tall). 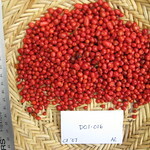 The long, narrow fruits are are typically bright red at maturity, and about half an inch long. From Chichicastenango in the Guatemalan highlands. Traditionally cured over wood fires. Triangular fruits are less than an inch long and very hot. 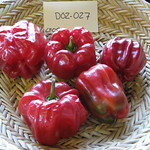 This long season sweet pepper has a lovely flavor with a hint of fruitiness. 2.5 - 3.5" blocky shape, but thinner walls than modern bell peppers. Collected in Mérida, Yucatán. 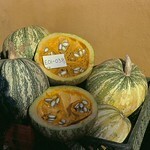 Grown for the tasty seeds, which are large and white with a silver edge. 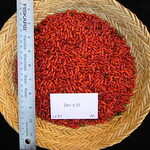 Seeds are roasted for pepitas or used in pipian sauce. Displaying 1–10 of 42 accessions matching search criteria: Latitude is between -23.437306° and 23.437306°.